Most writers are willing to make sacrifices for their art, but in Philip Graham’s case, the sacrifices of 1979 were literal: a chicken and, not long after, a goat. That’s what happens when you move to rural West Africa with your anthropologist wife, to an area of Côte d’Ivoire steeped in the supernatural. You develop writer’s block and then you go to a diviner, who insists that a jealous colleague back in your country has cast a spell on you. Sacrifice a chicken, she says, and if you’re a certain kind of person you might thank her kindly and be on your way. But if you’re Philip Graham, that thought doesn’t cross your mind. The sacrifices worked. Who can say why? Maybe the ritual of villagers gathering under a sacred tree, spilling the blood of a chicken onto the ground, has a way of motivating a writer. Or maybe the placebo effect performed its magic, like a sugar pill lowering blood pressure. Or maybe the explanation is simpler than all that. Maybe the spirits were appeased, grateful for the token, happy to release the writer from torment. Now, 25 years later, the fruits of Graham’s unblocked mind are many. Dzanc Books has just reissued his critically acclaimed fiction, a novel, How to Read an Unwritten Language, and two short story collections, The Art of the Knock, and Interior Design (with new introductions by Kyle Minor, Roy Kesey, and Alex Shakar) under their electronic rEprint Series. He has published a collection of prose poems and a travel memoir set in Portugal, and he and Alma Gottlieb, the anthropologist who gamely accompanied him to the diviner, have published two co-written memoirs about their extended stays in Côte d’Ivoire. Throughout their careers, both Graham and Gottlieb have felt the influence of what he calls “Africa’s tight weave of invisible powers and unseen presences,” and their work is a testament to the idea that you can go home again, of course, but you can’t necessarily go alone. Sometimes the spirits of a place will accompany you, taking up residence, influencing the way you live. For example: Upon selling their first memoir, the award-winning Parallel Worlds, in 1993, Graham and Gottlieb set aside half of the advance. They intended to share it with the Beng people who had hosted them twice, first for 15 months in 1979-80 and then again five years later. Both of those trips had been motivated by Gottlieb’s research, and the first had been compounded by the fact that neither the Beng people nor the Beng language had ever been studied. Recalling that time, Gottlieb shudders at “the foolishness of going to a place where you can’t learn the language.” But they did learn, slowly, after hiring a young tutor and setting up home in the village of Kosangbé, population 250. Later, they lived in the larger village of Asagbé, and in each place they adapted, made mistakes, embarrassed themselves over and over again, absorbing Beng values and beliefs along the way. One core value, says Graham, is that “if you’re doing well, you share the wealth. You help out. You don’t abandon people that have treated you very well.” In writing Parallel Worlds, Graham and Gottlieb had two goals: to craft a memoir, told in the alternating voices of an anthropologist and a fiction writer, that captured the difficulties and delights of insinuating oneself into rural African culture; and to use the proceeds of the book to help the impoverished Beng. After diplomatically skirting the village secretary, the couple discovered that the people of Asagbé actually wanted a mill, which was exactly the sort of civic improvement they’d imagined. In Kosagbé, the elders asked for repairs to the village water pump so that girls and women would no longer have to rise at 4:00 AM and walk miles to a water source, but they also really wanted the plastic chairs and stereo. As the tribal seat of Bengland, they explained, the village often hosted regional events, and it was embarrassing not to be able to offer seats to older people who had walked many kilometers through the forest. The chairs would restore a sense of pride to the village. As for the stereo, too many young people were moving to the city for its social life. With a stereo system, Kosagbé could host dance parties to attract Beng youths and keep the village population from shrinking. Graham and Gottlieb’s response was swift: You’ve got it, friends. That sort of help continues with the proceeds of their most recent memoir, Braided Worlds. This book tells the story of the summer of 1993, made all the more engaging by the presence of the couple’s six-year-old son, but it extends forward as well, to the Beng college student who came to live with the family in the U.S. The son of poor farmers, Bertin was smart and accomplished enough to have received university grants in Côte d’Ivoire, but as civil war loomed, the grants were cancelled. Graham and Gottlieb brought him to the University of Illinois where they both teach, and after completing a bachelor’s degree, Bertin went on to earn both a master’s and a Ph.D. Recently he resigned his assistant professorship in the U.S. in order to return home, where he is now a professor of International Relations at the Graduate School of Management in Abidjan. That’s good news for Graham and Gottlieb. Their advance for Braided Worlds paid for once again repairing the water pump in Kosagbé, which was damaged during the war, and the couple is working with an internationally-focused legal firm to start an NGO for small development projects in the area. Bertin’s presence and position in Abidjan makes that process easier. But the imperative to give back is only part of what the couple absorbed while living in Bengland. Of their first arrival in Kosagbé, Graham recalls feeling underwhelmed. “I remembered all of these museum exhibits I’d gone to where there was always amazing African art, and we just weren’t seeing it.” What he soon realized was that “most of the world is invisible, and most of the things that formulate what people do come from interior landscapes that you don’t have access to.” The cultural production around him, in other words, wasn’t something he could see, but it made demands on him nonetheless. When Graham learned that the Beng suspected him of being a witch because he spent his days indoors, he moved his desk into the dirt courtyard and typed in plain view of villagers walking to the fields. When he realized that left-handedness is also a sign of witchcraft, he learned to use his right hand. And when, during the 1993 trip, his father passed away in New York and the news arrived too late for him to attend the funeral, he asked his good friend, the high priest Kokora Kouassi, for a funeral. In Bengland, ancestral spirits reside not in some far-away place in the heavens, but right here on earth, in an invisible dimension side-by-side with the living. So it made sense to the Beng that Graham’s father, a man who had never set foot in Africa, would be accessible in the afterlife. The weeks-long funeral included all the songs and prayers and ceremonies performed for the newly deceased, and Kokora Kouassi reported dreams in which Graham’s father appeared to him, seeming content and, like any Beng ancestor, requesting small offerings of food. The spiritual world of the Beng has affected the fiction Graham writes. Before moving to Africa, he’d been drawn to surrealism, but in Bengland, he lost the taste for it. “I lived in a culture where people believed in things that were, from an outsider’s perspective, surrealistic,” he explains. “They believed in spirits and witchcraft and in the spiritual world really impinging on the lives of human beings. And so I began to see that what we consider surrealism is actually something that doesn’t lodge outside of the world but actually lodges inside every person, mediated through their culture.” In a shift he describes as lengthy and painful, Graham began to write “stories in which people lived ordinary lives but had not so ordinary interior lives.” One found a home in The Norton Book of Ghost Stories, others have been published in The New Yorker, The Washington Post Magazine, and elsewhere, and have been reprinted in Germany, India, and the Netherlands. And the experience of imagining his American father in an African afterlife has influenced the writing of his novel-in-progress, Invisible Country. For her part, Gottlieb wrote the kind of dissertation expected of a cultural anthropologist, which she then revised into an academic book. But co-writing a memoir about Bengland, she says, liberated her from being chained to one genre, even within scholarly work. Her books range from The Afterlife Is Where We Come From: The Culture of Infancy in West Africa, to a co-edited anthology, A World of Babies, that offers creative accounts of childrearing around the world. Her chapter describes the Beng custom of festooning babies with jewelry, not just for decoration but as a way of enticing their spirits to stay in this world. These days, Graham and Gottlieb remain in touch with their Beng friends — despite time and distance and civil unrest — the way people everywhere do. They email, use Facebook, make calls from Skype to a cell phone half a world away. In the middle of Kosangbé, their friend Yacouba answers, and within minutes all the villagers gather around, shouting and laughing and calling out greetings to their friends, the couple they renamed Amwé and Kouadio, the couple who came back again and again. It’s a marvel, really, all those voices floating back and forth, all those people at once invisible and, according to the Beng, eternally present. I am a fan of Chekhov short stories too. Thank you. On my bad day of bad writing, you made me feel better. Thank you. 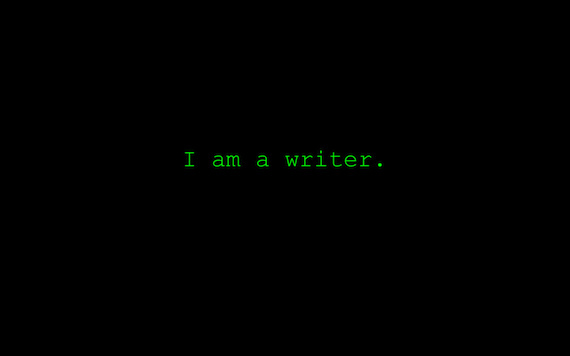 Thank you very much for your piece about being a writer. Your piece touched my very soul. I too am a second career writer becoming fifty in September. Just to be safe in case I blow it as a writer I’m finishing my bachelor’s in English. I also feel rushed to establish myself but in the end I feel as long as I write for myself everything will fall into place. Silly I know. Mostly I want to thank you for writing honestly and taking a risk. I will remember your words through my own struggle.